If you’re an entrepreneur, you presumably love your job—and that’s great. But passion doesn’t mean you can just soldier ahead without taking any breaks. That’s a surefire road to burnout. And if you start down that path, it’s important to recognize what’s happening, and how to steer yourself better. When you tell people what you do for a living—run your own business—you probably hear you’re so lucky to be doing what you love, and you probably hear it a lot. You’re so lucky that you were able to chase your passion and turn it into a career. To some extent, you probably agree with them. But you also know something they don’t. That old adage, that if you do what you love, you won’t ever have to work a day in your life? That’s not entirely true. If you love your job, it’s true that your life will be happier and you’ll feel more fulfilled at the end of the day. But work is still work. And too much of it is a recipe for disaster. See, running your own business is an extremely stressful venture. You’re putting what you love into the hands of other people, and hoping it won’t all come crashing down. You’re working long hours, throwing yourself into your career—often at the expense of your personal life, and isolating yourself so you may see your dreams thrive. 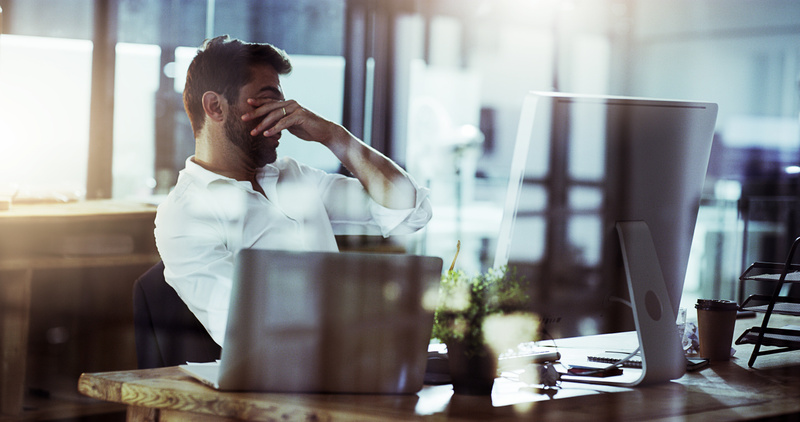 It’s a small wonder so many entrepreneurs suffer from mental health issues compared to their traditionally-employed peers, or that entrepreneurial burnout is such a common affliction. The good news is that if you catch your burnout before it destroys your motivation altogether, it’s actually pretty easy to deal with. Usually, all it takes is a vacation or a small lifestyle change. At worst, you might need a few sessions with a therapist which is nothing to be ashamed of, as therapy is something anyone can benefit from. The toughest part is taking the first step. Admitting you need to make a change, then actually doing it. So how can you tell you’re on the verge of crashing and burning? You’ve stopped taking care of yourself. You’re not sleeping as much. You’ve stopped eating healthily. The gym just doesn’t hold much allure for you anymore. These are all signs you’re on the verge of burnout, because they mean you’ve started to grow unmotivated. You’re an anxiety-riddled mess. A bit of worrying is fine—like I said, being an entrepreneur can be stressful. But if you’re constantly losing sleep and walking around with a knot in your stomach or a general feeling of dread, it could be a sign it’s time to take a step back. You’re having trouble focusing. Do you find yourself stopping every few minutes to check Facebook? Are you constantly having to re-read articles or pages you’re looking at? Does your mind wander incessantly, in spite of your best efforts? We all have days like that—but if you’re consistently unable to focus, that’s a sign that something’s up. Everything annoys you. You snap at the barista for mispronouncing your name. You rage at the kid listening to loud music on the train. You want to snap your fidgety colleague’s pen in half. You’re not sure why all these things get under your skin, but you’re in a constant cloud of frustration—and it’s probably time for a break. You’re deeply exhausted. A sleepless night here or there is to be expected for any hard-working entrepreneur. But if you’re tired no matter what you do, something else is going on. It’s the same deal if you find your health suddenly failing. You just don’t care anymore. Last but certainly not least, if you’ve completely lost your passion, that’s not a warning sign of burnout—that is burnout. Go and talk to someone now, lest you spiral into a depression. Everyone needs a break now and then—even people who love their job more than life itself. The most important thing you as an entrepreneur can do is recognize that. Otherwise, you might one day find yourself hating the things you used to love. Has small business ownership reached a point of constant “get it done yesterday,” with no clear signs of growth? Or do you have big ideas for your business, but find yourself consistently falling short of your goals? We want to help. Download our guide to learn how to grow big and grow your business.